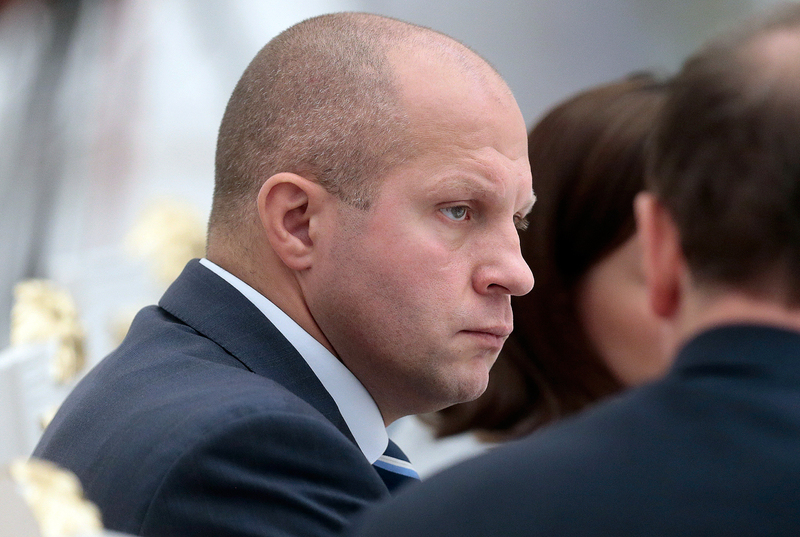 MMA star Fedor Emelianenko's daughter attacked – is there a Chechen link? Sixteen-year-old Vasilisa Emelianenko was been beaten in the center of Moscow on Oct. 11. It is not known whether this is due to a public conflict between her father and the Chechen elite, which had broken out because of the children's MMA event held recently in Chechnya. Internet users talk about a "Chechen connection," while the Kremlin warns against parallels. The daughter of Fedor Emelianenko, the multiple mixed martial arts world champion and the president of the Russian MMA Union, has been attacked in Moscow. An unknown man beat 16-year-old Vasilisa in the center of the city on Tuesday, Oct. 11, while she was returning home from school. It is not yet clear whether the attack was connected to the fighter's recent harsh statements about children's fights in Chechnya; the police opened a criminal case into "beating." "The attack may have been due to mundane reasons," a source in law enforcement agency told the TASS news agency. Sources from the Interfax news agency also said they had no information about a possible connection of the attack with the public and sporting activities of the child's father. Media accounts of how the assailant acted vary. The Kommersant business daily reported that the unknown man struck the teenager twice, once in the head. The girl fell, and the man took her phone, which the police assume was done to prevent her from calling for help, the newspaper said. The child was helped by passers-by, who also called an ambulance. The Emergency Children's Surgery and Traumatology Research Institute confirmed the attack, saying that Vasilisa had been diagnosed with "contusion of the chest and abdomen." The Moskovsky Komsomolets tabloid newspaper and TASS reported that Vasilisa Emelianenko returned home immediately after the attack. "At first she did not tell anything, but when she felt sick, she told her parents about it," TASS reported. "It was only after this that she was hospitalized." According to Moskovsky Komsomolets, the girl cannot describe the attackers (perhaps there were two), "but it seems that she is hiding something." "Perhaps she has been intimidated," said the newspaper's sources. The incident shocked the Russian public. Some internet users immediately saw a "Chechen connection" in the incident, namely, that it was an act of revenge against Fedor Emelianenko for his sharp criticism of the Grand Prix Akhmat 2016 MMA tournament, held recently in Chechnya. The event featured children, who competed with a minimum of gear (gloves only), including three sons of the head of Chechnya, Ramzan Kadyrov (one of them was ten-year-old Ahmad, who knocked out his opponent after 14 seconds of the fight, which was broadcast live on television). Emelianenko accused Kadyrov of brutality and empahsized the illegality of the fights, for which the athlete was showered with direct threats from "Kadyrov's men." "But had Emelianenko's daughter trained in MMA like Kadyrov's sons, she would not have taken a punch in the chest. Checkmate!" user Vitalij wrote on Twitter. А вот если бы дочь Емельяненко занималась MMA как сыновья Кадырова, то не пропустила бы удар в грудь. Шах и мат! One Facebook user, Sergei Lomakin, suggested that the idea was, in a "good" set of circumstances, to kill the girl. "In my opinion, this was hardly done on the orders of Kadyrov, this is rather local overzealousness," he added. However, not all believe in a connection between the two events, with several officials urging not to jump to conclusions. "I do not even want to suggest that this could have happened in connection with the words of Fedor Emelianenko about children's fights," Mikhail Mamiashvili, head of the Russian Wrestling Federation, told the NSN news agency. "You can suggest whatever you like, but I do not want to even think that it could have come to this, this is over the top." Presidential spokesman Dmitry Peskov urged people to refrain from drawing any parallels and suspicions "until it is established who committed this," the Interfax news agency reportedhim as saying. "Yes, we reported it to the president according to media reports," he said. As Sergei Smirnov, editor-in-chief of the Mediazona website, wrote on his Telegram channel, there is a clear rule: The most logical theory often turns out to be true. "Here it is clear which one is logical – in the midst of conflict with Kadyrov <...> Emelianenko's daughter gets beaten," Smirnov said. But "in this specific case, I am not sure that this clear rule can be applied here," he added. Kadyrov and Fedor Emelianenko's representatives did not respond to RBTH's requests for comment on the incident.